This time last year, Fitbit had already announced a new fitness tracker, the Fitbit Blaze as its first smartwatch-style wearable. In 2017, it's put the hardware talk to one side for now to dedicated some time to talk software. 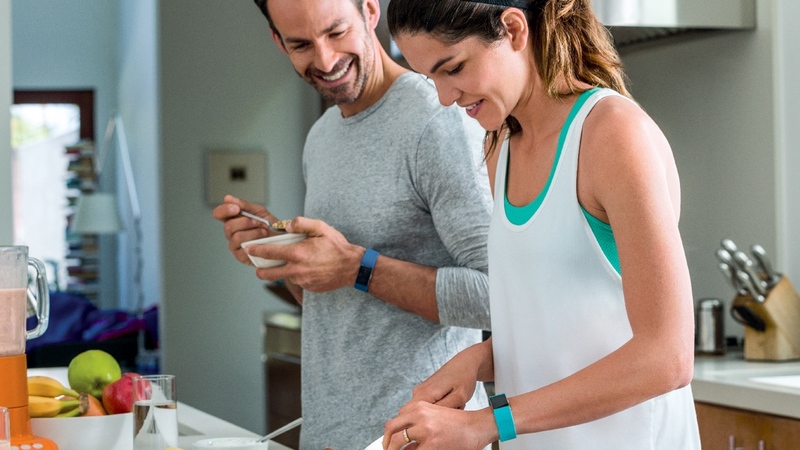 Benoit Raimbault, marketing director for EMEA at Fitbit, reassures us that it will be seeking to improve the trackers that the company launched during 2016 with new software updates. It's already started that process with the move to bring Cardio Fitness and Guided Breathing features from the Charge 2 to the Blaze and it looks like there will be more to come. Fitbit owners can also expect to see more meaningful, actionable insights, something that we've been asking from Fitbit for a while now. That move started with the decision to get serious about sleep tracking in June last year when it introduced the new sleep schedule mode. With the latest Fitbit app update, you can now set personal goals, access social features in a new Facebook-style feed and there's updates to its Fitstar workout app. "We are going to start talking more about what we are going to do with data," Raimbault told us. "You are going to get a lot more insights, guidance, tools to motivate yourself to be more active and to help manage and achieve your fitness goals." There's of course no getting away from the fact that Fitbit grabbed the headlines in big way late last year with the acquisition of struggling smartwatch startup Pebble. Despite mounting evidence that a Fitbit smartwatch is almost certainly in the works, Raimbault wouldn't be drawn on what we can expect to see from the Pebble integration. He does believe there's some obvious benefits by having the added expertise on board. "Pebble uses an open system for third party apps and that is very important for us," he said. "On the Blaze we have apps, but not ones that you can download. We have shown we can build them. We are obviously thinking about how we can build on apps like the Fitstar one featured on the Blaze. It's really about helping our R&D with our platform and software operating system. It's an important acquisition." Raimbault is keen to hammer home this push to deliver more on the software front. As Fitbit adds more data for its community of users to tap into, he's believes the way those extra metrics are delivered is key. "Our approach is to offer more guidance, coaching and to improve the insights, he told us. "We know aspects like sleep and nutrition and cardio fitness is important. I think what we've done around cardio fitness levels is a very good expression of what we want to do going forward. To convert a health metric into something that is super easy to understand for consumers. It's really going to help users understand their overall health and fitness." Fitbit is certainly saying all the right things as far as helping users make more sense of data is concerned. Those days of simply collecting steps and logging sleep with no context or actionable insights could finally be a thing of the past. It's time for the 'what next' and thankfully the biggest name in wearable tech is doing something about it.